Prime Minister Lee Nak-yon met with a visiting Japanese lawmaker Wednesday to discuss frayed ties between the two neighboring countries in the wake of South Korean court rulings on wartime forced labor victims. Lee and Fukushiro Nukaga, a member of Japan's ruling Liberal Democratic Party, had an 80-minute breakfast meeting from 8 a.m. at the prime minister's office in Seoul, according to Lee's office. The meeting was arranged at Nukaga's request, it added. They were joined by Rep. Kang Chang-il of the ruling Democratic Party, who's a member of the South Korea-Japan Parliamentarians' Association, which is chaired by Nukaga. In the meeting, Nukaga expressed regret over the rulings by South Korea's Supreme Court in October and November last year that upheld compensation claims of Korean victims who were forced to work without pay during World War II. The court ordered Mitsubishi Heavy Industries and Nippon Steel & Sumitomo Corp. to pay their unpaid wages. Lee stressed that the Moon Jae-in government respects the court decisions, noting that it may not be appropriate for the Japanese companies to refuse to accept the rulings only after they lost the suits. 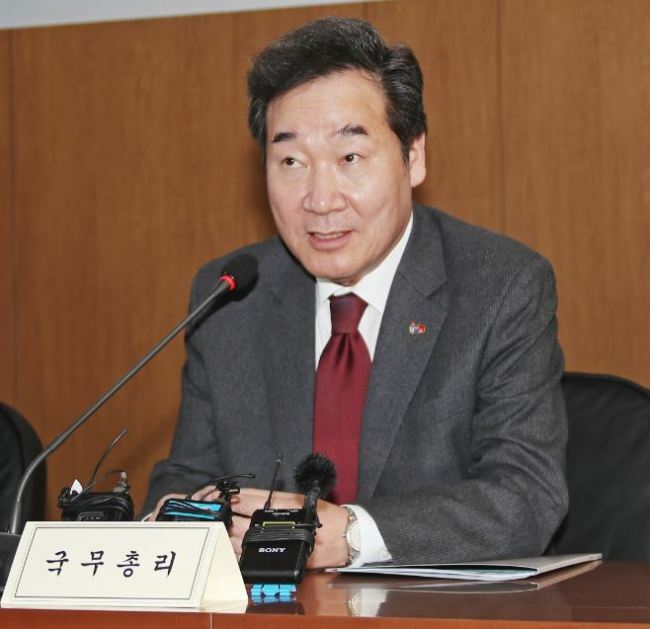 Kang again defended National Assembly Speaker Moon Hee-sang's recent remarks on Japan's wartime sexual enslavement of Korean women, emphasizing that his intention was to underscore the need to improve bilateral ties going forward. Moon said in an interview with a foreign media outlet last week that Japanese Emperor Akihito should apologize to Korean sexual slavery victims, calling him the "son of the main culprit of war crimes." His remark has stirred discord among Japanese politicians, prompting Japanese Prime Minister Shinzo Abe to call Moon's comments "extremely inappropriate."